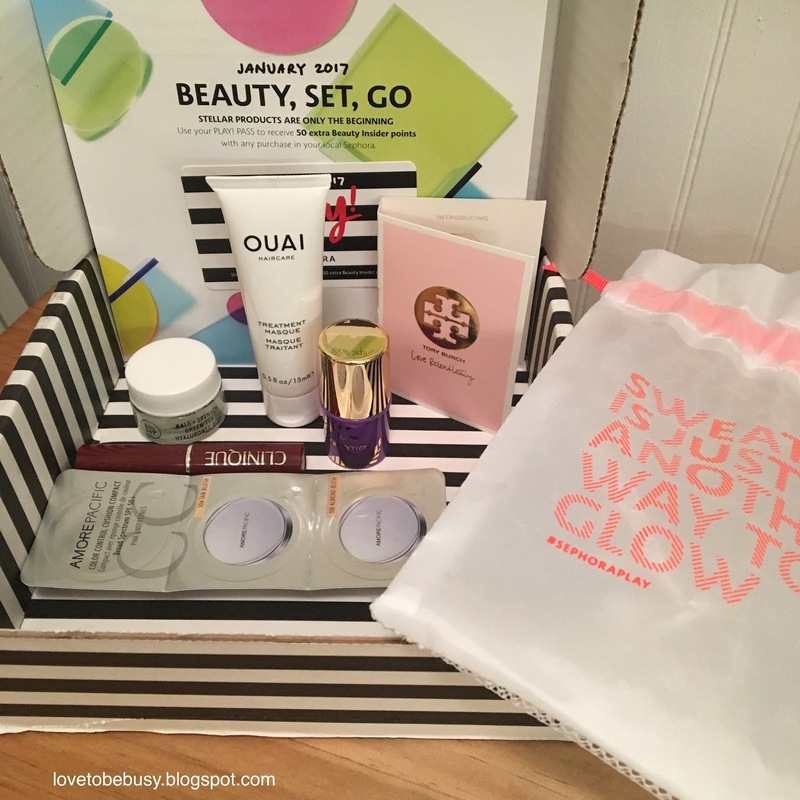 Time to share with you my January haul! I had some Sephora gift cards so I splurged a bit on products this month. I won a gift card giveaway from @Jenn10orless on Instagram so I was super excited to splurge on some products. I had been wanting a larger Z-palette so I picked up one of those. 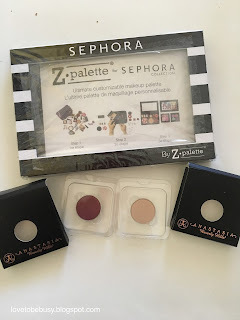 I was going to try the Make Up Forever shadows but my IG friend, @aworldoffab, suggested I try the Anastasia ones instead. I bought two shades in Sangria and Suede. 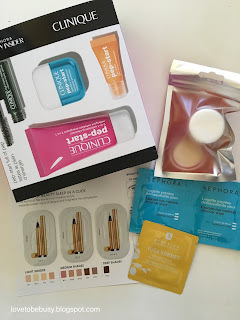 I had points to redeem and decided to give these Clinique products a try. This set included a cleanser, eye cream, moisturizer, and mascara. I also got a sample of the Sunday Riley vitamin C cream with a sample code. The other packets were my free sample choices. As I said, I had quite a bit in gift cards from the holidays. I wanted to choose some fun products that I probably wouldn't spend my own money on due to the price. 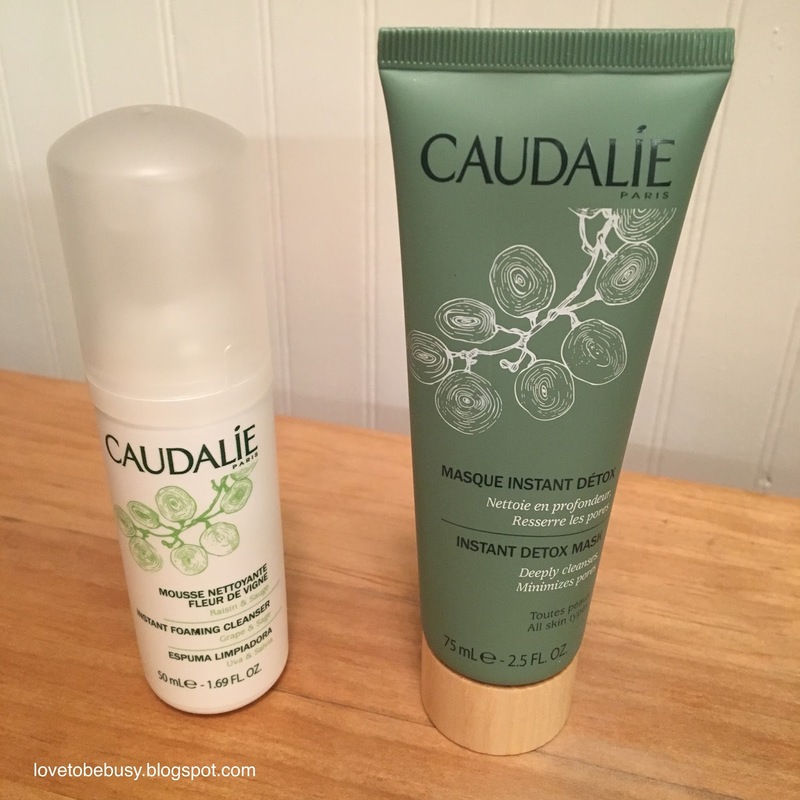 I bought the Caudalie Instant Detox Masque. 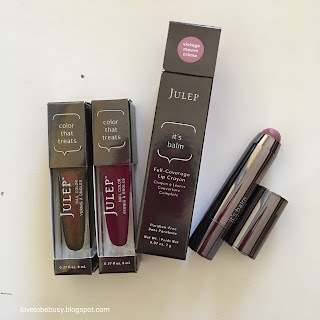 I have used foil samples of this before and loved it! There have been quite a few Caudalie samples and deluxe sizes lately that I have tried so I decided to buy this Foaming Cleanser to try out as well. At the time I placed the Caudalie order, there was a skincare sample bag freebie. So, these are all the products I received free with my order. Excited to see another Caudalie product in there to try! I have to say that I wasn't too wowed by the Play box again this month. Since I am trying to cut down on products and save money, I am seriously considering canceling this box. We will see over the next few months. This was my first month receiving this box since I subscribed around Christmas. I received two polishes in Pacita and Evan. I also got the lip crayon on Vintage Mauve creme. 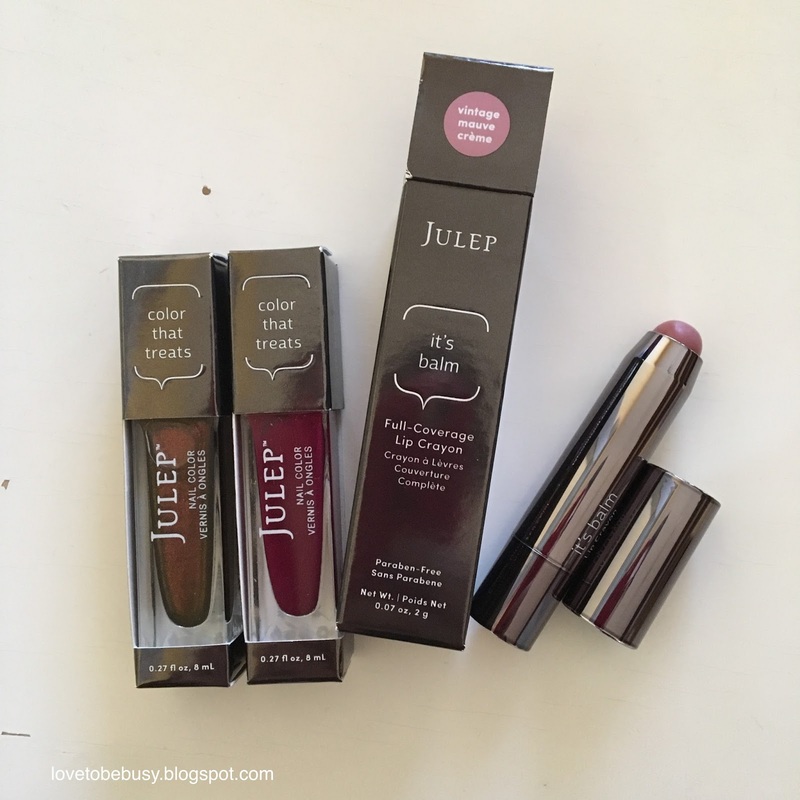 I do know that I swapped some products this month but I don't remember what it was now. 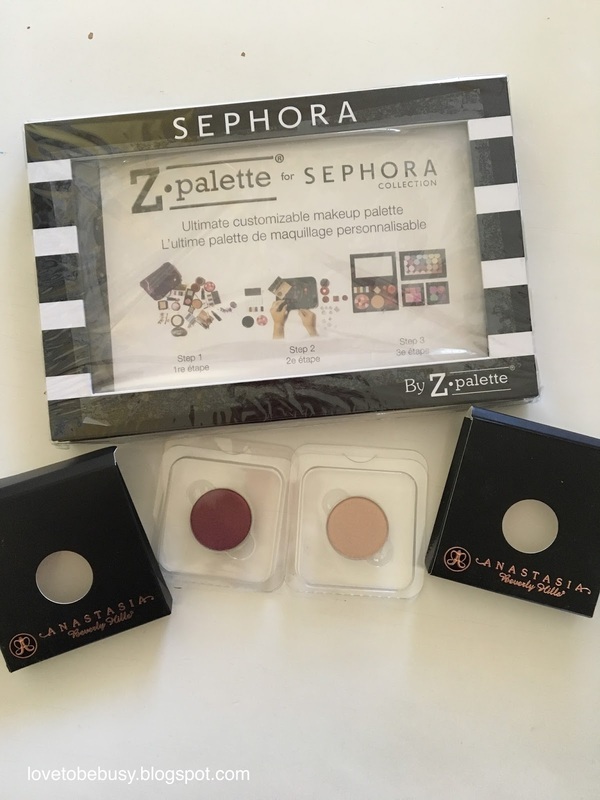 I love that you can swap out nail polish colors and products with this box because then I can choose items I am more likely to use. Also, you can skip months if you would like. I am really liking this box! Since my Sephora purchases were with gift cards, I only paid for the Wet and Wild shadow and brow product. I spent $10.58 this month (not too crazy so that is good). 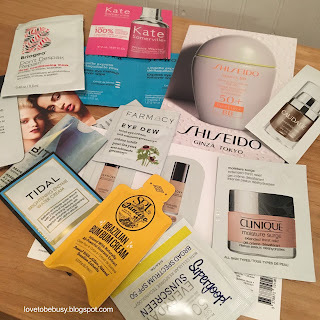 Including purchases and free samples, I added 43 products which is way too much! And way more than I used up. However, I purposely made my Sephora purchases when there was a sample bag included so that is really something I need to work on since I am bad about then using those samples. What fun purchases have you made lately?